We were doing an S-shaped flower arrangement also called a ' Hogarth' curve, named after the great 18th century artist who considered this the most beautiful form of art. This is a classical geometric design also called the lazy S design. 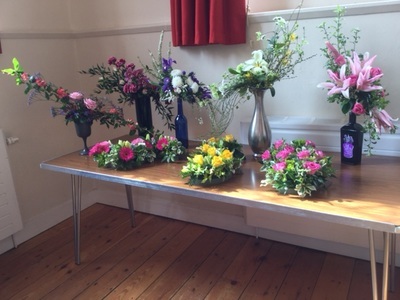 In our flower arranging session today we arranged both the upward Hogarth Curve and the horizontal Hogarth Curve. The tapestry design was made popular by New Zealand designer Michelle Skelton. The design involves blocks of colour, form and texture linking one group to the next. There is limited height in the design and it is usually viewed from above the arrangement. 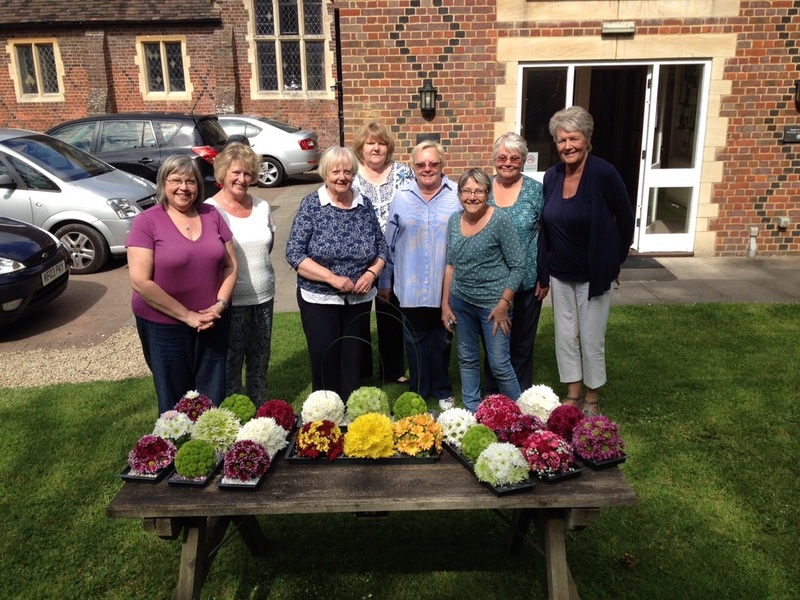 ​The flower arranging group were doing floral spheres this month. The spheres were covered with chrysanths in a variety of shapes, sizes and colours. Used in a line or grouped they provide an innovative centrepiece for a table. 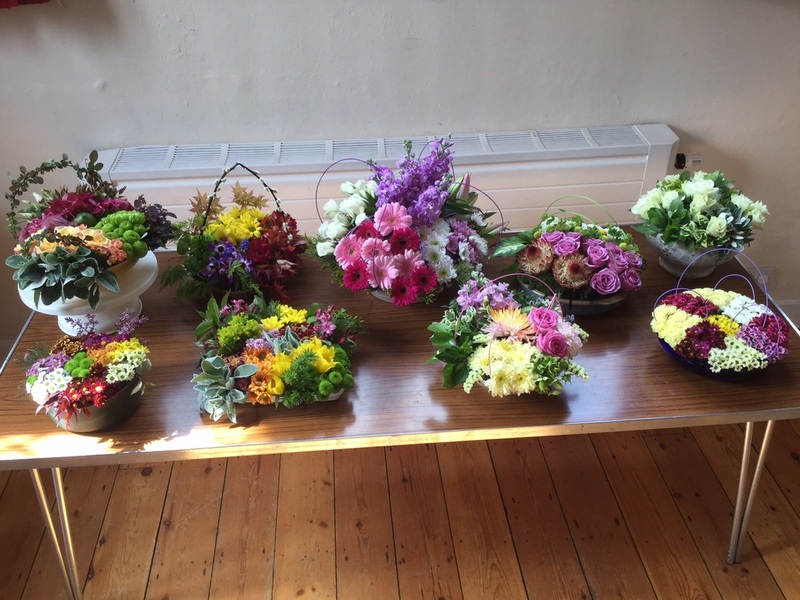 Our September meeting was titled ' An Indian Summer arrangement'. Dahlias were very popular flowers in these arrangements this month. With many varied colours depicting the many shades of autumn. 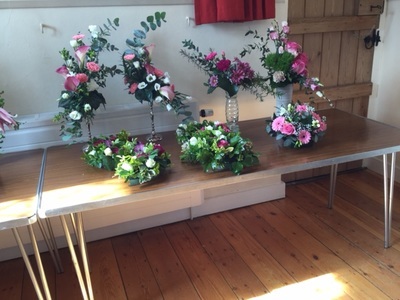 For our October flower arranging we used Cape flowers and South African ferns. 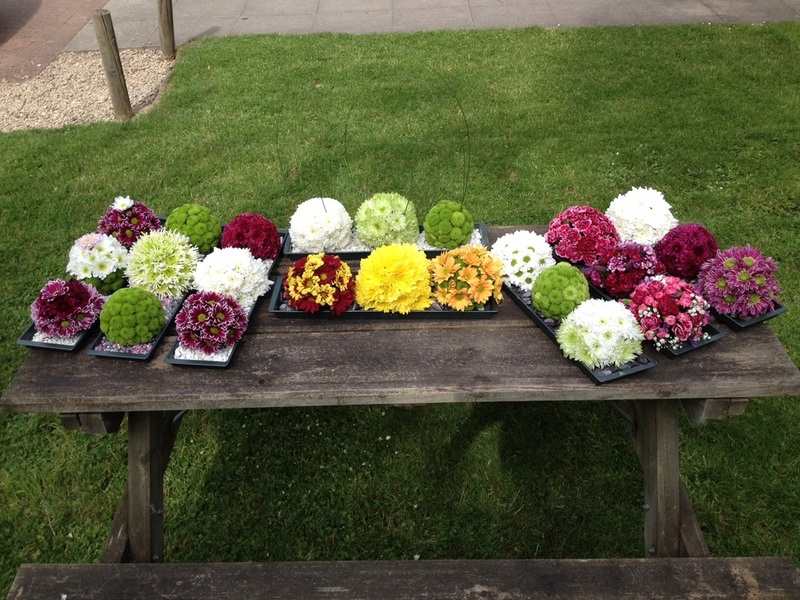 We also included some of our own flowers grown in our gardens. They included sedums and dahlias which worked well with the Cape flowers. Nerines which are now in flower here were also used whch are native to South Africa. Our last session of the year hit our highest attendance for an afternoon Christmas Wreath making. Sixteen ladies attended the session which included lunch and mulled wine organised by Mary. Christmas music was played while everyone mossed and decorated their wreath with various types of firs, foliage, holly, baubles and bows. 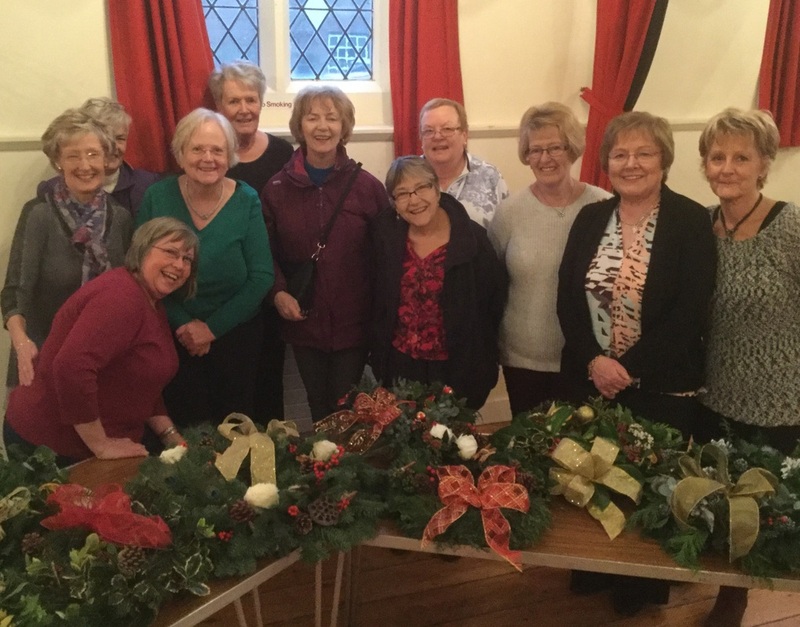 A successful afternoon with our ladies becoming more skilled and confident in their wreath making.